Our “Taste of Peru” suggested itinerary starts in the capital city of Lima. From Lima we make our way to Cusco, the capital city of the Inca Empire. 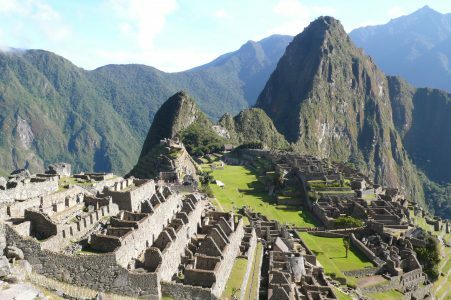 Cusco will be the gateway to the breathtaking sight of the lost city of Machu Picchu. Recently named as one of the new Seven Wonders of the World, Machu Picchu is the most well-known archaeological site in the world. While the buildings of Machu Picchu date back as far as AD 1400, the location was abandoned and forgotten at the time of the Spanish Conquest. This suggested Taste of Peru travel itinerary will give you a feel for the country, with the visit to Machu Picchu as the highlight. The below tour is fully flexible with departure dates and can be modified to your own personal travel preferences, please contact us for an obligation free enquiry. Airport Transfer to hotel. The rest of the day is at your leisure. After breakfast there is a full day tour to explore Lima’s ancient history through its historical sites and museums. Morning highlights include visiting the Plaza de Armas (also known as Plaza Mayor), the Palacio de Gobierno (Government Palace), City Hall, the Basilica Cathedral of Lima, and the House of El Oidor. After lunch, visit the grandeur of the Torre Tagle Palace and Osambela House. Followed by two of the most visited tourist Museums in Lima, the Larco Museum and / or the Gold museum of Peru Museum both containing staggering displays of gold, silver, ceramics and artefacts from ancient Peru. This morning you will be taken to the airport to catch your flight from Lima to Cusco. 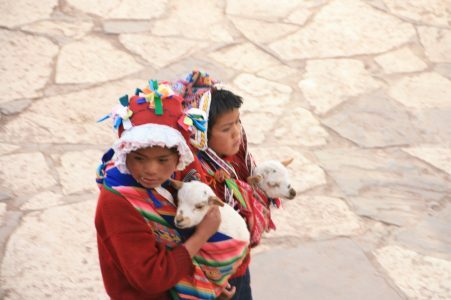 (Flight Lima to Cuzco is not included in this package price). Cusco was the capital of the Inca Empire and has an elevation of 3400m above sea level. We recommend you spend the rest of first day in Cusco at leisure to allow your body to adjust to the altitude. Cusco is also the archaeological capital of South America and for good reason. It is one of the most important destinations in Peru and the gateway to one of the world’s most sacred ruins of an amazing ancient culture. With a mix of Spanish and Ancient Incan cultures, there are cobble-stoned streets, interwoven stone walls, Incan buildings, Andean Baroque structures from the Colonial Period like the Cathedral. You can stroll through the picturesque neighbourhood of San Blas or dine in one of the many modern cafes, bars and restaurants. Overnight Cusco. It’s an early start to the day with a half day sightseeing tour of Cusco. The tour today takes you to visit the Korikancha (Temple of the Sun), the Cathedral, and then continuing onto the nearby archaeological sites of the Tambomachay (Inca Fountains), Puca-Pukara (the red fortress), Qenko (Scared site) and finally the famous gigantic Inca fortress of Sacsayhuaman. The many restaurants in your Hotel vicinity will let you sample the delicious Peruvian Cuisine. 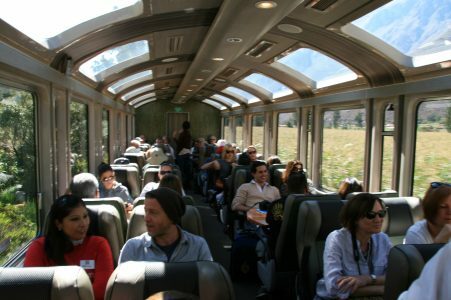 Today your Taste of Peru suggested travel itinerary concludes with a departure transfer to Cusco airport or train station. Travel Just 4U has competitive South America Flights to get you to the starting point of your chosen Holiday. Contact one of our Travel Consultamts for a full quotation including airfares, stopovers and any additional travel you wish to organize.